On Wednesday 20 March the Minister for Employment, Productivity and Industrial Relations deemed and declared the act by many of our controllers taking coordinated leave an unlawful strike. To abide by the law the controllers on strike need to return to work. 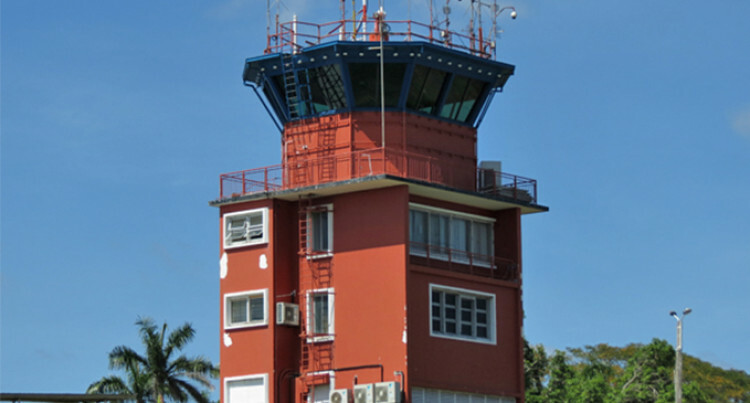 Control Tower at Nadi International Airport. An employment engagement is between the employer and the employee. Therefore, at all times during the employment engagement we attempt to resolve issues amongst ourselves in a lawful manner. We have since written to each and every controller advising them of the meaning and effect of the Minister’s Order. We have welcomed them back with open arms, particularly looking forward to discussing the pay issues they raised on Monday and Tuesday with a view to reaching a fair and equitable outcome. Where we could make personal contact we have personally advised our controllers. We are glad to see couple of our controllers returning to work today. Many others have advised that they will return. Contrary to some claims we have not issued any disciplinary letters. However, if the controllers who are on strike based on coordinated leave refuse to return to work in defiance of the legal Order of the Minster, we will have to issue disciplinary letters. We surely hope it will not come to that. Controllers who choose to remain on coordinated leave will also not be paid during such unlawful absences. We urge those who remain on coordinated leave to return to work. Prior to the Order of the Minister declaring the strike unlawful, we held 3 meetings with our controllers on Monday and Tuesday to try to understand their reasons for taking coordinated leave commencing Monday 18 March. Mr Kolokesa Kini, one of the controllers, mostly spoke on behalf of some of the other controllers. We learnt during these meetings from Mr Kini that our controllers wanted a significant pay rise in writing in order to return to work. We advised our controllers that we could not negotiate under a situation of threat and strike, repeatedly requesting them to return to work so that we could reconvene and discuss pay issues in the normal course of events; as we had done so in the past. At the conclusion of the 3rd meeting on Tuesday, Mr Kini remained adamant that the controllers would not return to work unless a significant pay rise was first given to them in writing. At this juncture we expressed our disappointment as the stance was against Fiji Airports’ culture of open dialogue and resolution, without threat. The stance by a few was one of sabotage, trying to hold Fiji Airports, our country, our economy and the Fijian people to ransom. We transparently advised our controllers who had taken coordinated leave that we would be making an application to have the strike declared unlawful. We categorically state that there were no pending grievances or log of claims being pursued by the controllers when many went on strike starting Monday 18 March. FPSA has made a media statement that a similar dispute is with the Employment Minister through the Arbitration Court – that too is incorrect. FPSA has not raised any specific issues regarding the pay of the controllers with Fiji Airports. This is why the actions of some of our controllers came as a complete surprise to us. We know that there are a few people and just a few controllers responsible for this most unfortunate action of strike. In one of our meetings on Tuesday Mr Kini claimed that our controllers had not received a pay rise for the last 6 years since 2013! The fact is that pay rises were given to our controllers in 2014, 2015 and 2017. In the last 5 years – from 2013 to 2018 – our controllers on average earned 61% more in gross pay, for 43% less workload in overtime. The reduction in workload is attributed to increase in numbers by 31% in that period. This gross pay is made up of the 3 pay rises and multiple allowance increases in 2014, 2015 and 2017; plus promotions within the Air Traffic Management structure through active trainings that we conduct with our controllers. By comparison in the 4 years prior to 2013, from 2009, the gross pay had increased on average by 1%. Fiji Airports has advised all controllers that it is not opposed to a pay rise. Presently a pay rise was under contemplation with 2 internal papers already under discussion. However, Fiji Airports was opposed to the manner in which a pay rise was being demanded under a threat. Safety is our paramount consideration. Contrary to irresponsible statements by Mr Kini, no air traffic controller has been working continuously for 96 hours. Fiji Airports has put in place an approved procedure that significantly reduces the workload and traffic congestion in our airspace. To give you a perspective there are up to 130 circuit training flights in a day in the Nadi airspace – these have been restricted in deference to safety. There are currently on average 30 international flight movements (15 in and 15 out), and 50 domestic flight movements (25 in and out) in a day – these are our main priority.